"For a life worth living, she'll have to fight to the death." I attended my first "Pop-Up" event at Pin-Up Curls along with Alyssa Walther, who was there to sell and showcase Park Lane Jewelry. 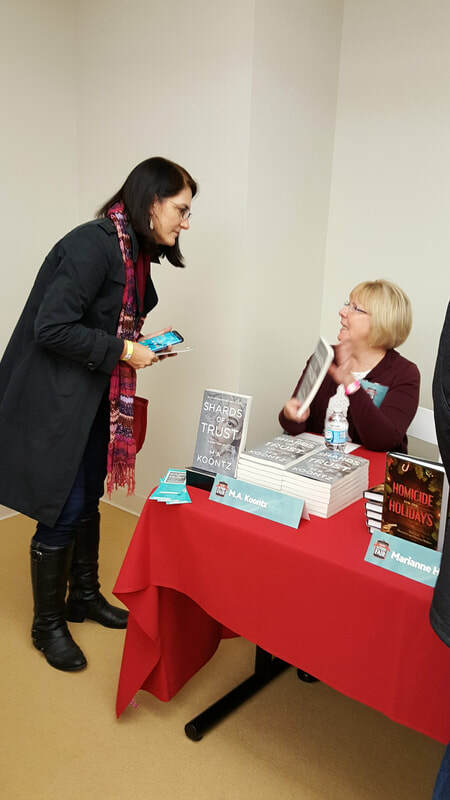 Thank you to everyone who stopped by to purchase a copy of Shards of Trust. 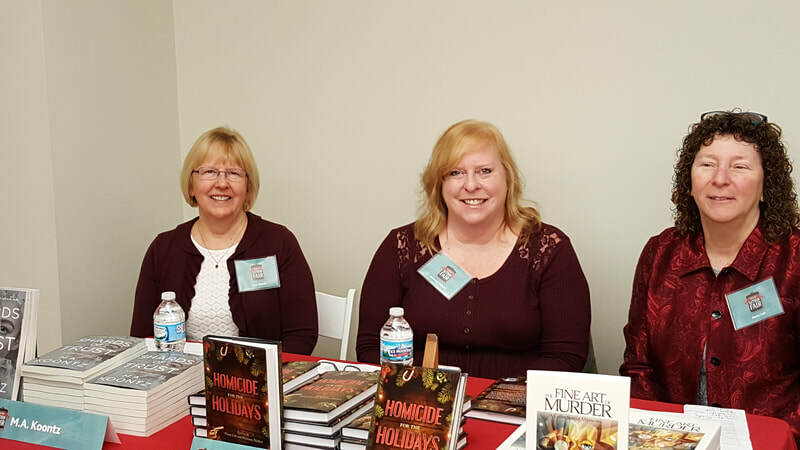 It was great fun meeting so many wonderful people! I would especially like to thank Erin Raber for hosting this event at her award-winning salon! 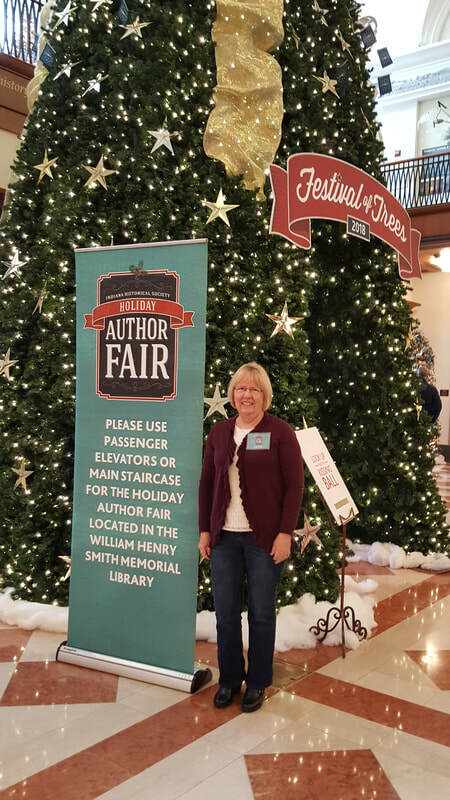 Another fun event that provided a chance to meet avid readers as well as other published authors. I almost scored a free copy of Pigeon, but, alas, I only hit the rim of the can. 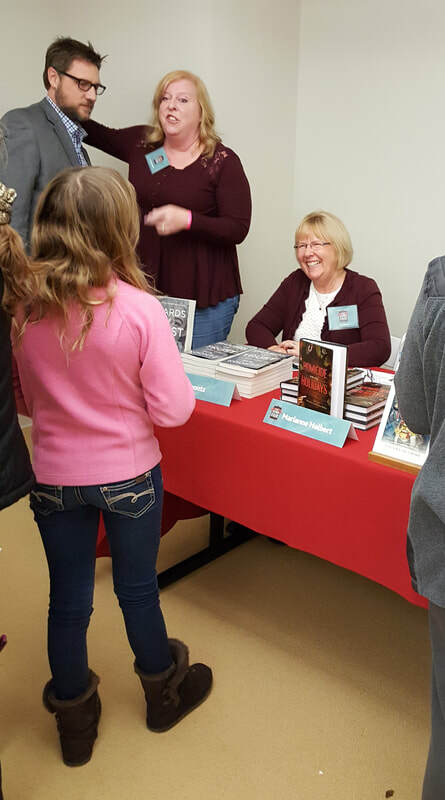 A special thanks to Beth Meyer and her team at the Hamilton East Public Library for hosting this event. 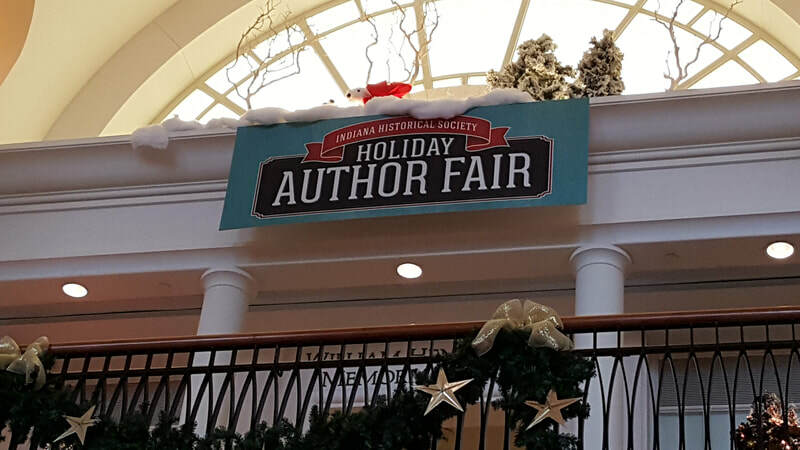 The Eugene and Marilyn Glick Indiana Historical Society hosted the 2018 Holiday Author Fair, complete with Santa, carolers, and the Festival of Trees. Special thanks to Becke Bolinger for doing such a wonderful job of organizing this event. 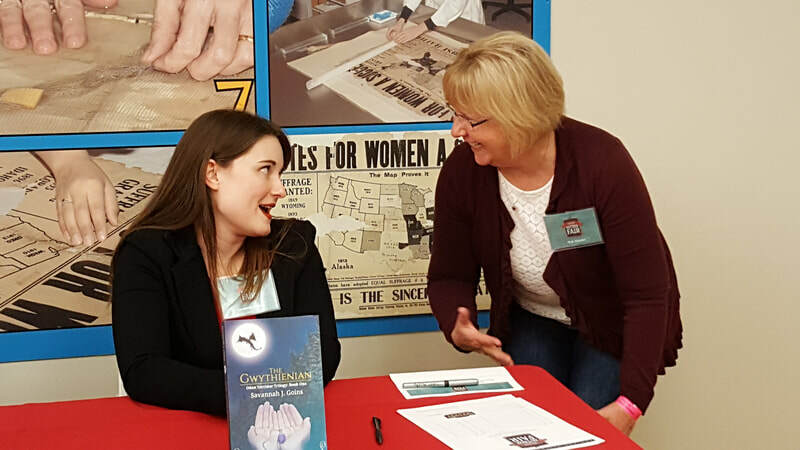 ​ Looking forward to seeing many of you again at the Hamilton East Library in Fishers on November 3rd. ​So humbling to see my book on the shelf next to Dean Koontz books at the Allen County Public Library (ACPL). A big thanks to Lisa Roepe for the mention in her article, "The Publishing Industry" in the May 7, 2018 issue of the online Business Researcher with Sage Publications. Find it under the subhead, "Shakeup at Traditional Publishers," but read her entire article for some interesting developments in the publishing world. Thank you to everyone who came out to Barnes & Noble in support of my book and Riley Children's Hospital!